I’ve never been into energy drinks. In fact, I’ve only ever had a sip of Red Bull (politely offered by somebody else) and hated it. 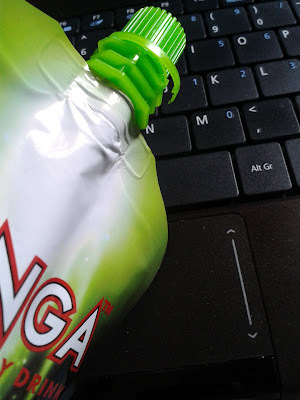 Not oddly enough, I had begun branding every energy drink as a tasteless, pointless beverage and that’s when Tzinga happened. It all started when Pagalguy did a feature on Tzinga’s creator: an MDI alumnus who went on to get another MBA from –wait for it- Wharton. The feature actually influenced me to give the beverage a try and here’s the review. The first thing you notice about Tzinga is its innovative packaging: no one has sold a beverage in a ketchup squeezy pack before. A friend is also of the opinion that the idea was probably influenced by arrack sold in sachets. :D It feels weird to drink out of a ketchup tube, but in a good way. However, I’m not a huge fan of what’s written on the pack. Pray tell me if the intention was to create a simple verse, limerick or rhyme. 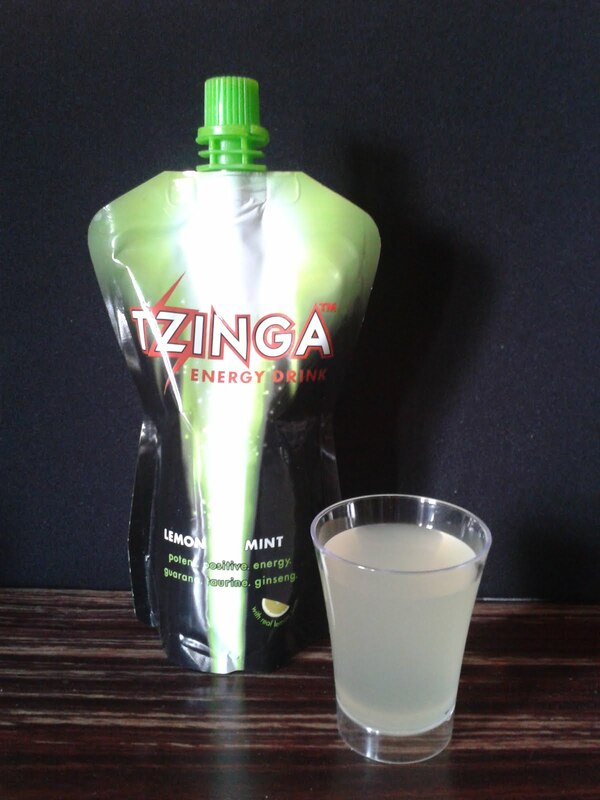 This flavour of Tzinga claims to have real lemon juice but it is obviously derived from a concentrate. The drink tastes exactly like a virgin mojito made from preserved ingredients. The mint is there but it’s not overwhelming. The sugar seems right, too. Overall, they have quite nailed the flavour. Tip: Do NOT drink warm Tzinga or anything that is not straight out of the fridge. I cannot describe the taste to you but can only request you heed the warning. Other Tzinga flavours in the market are Tropical Trip and Mango Strawberry..will check them out soon. After about half a pack or so, I started getting bored and decided to make a Tzinga mocktail shot. 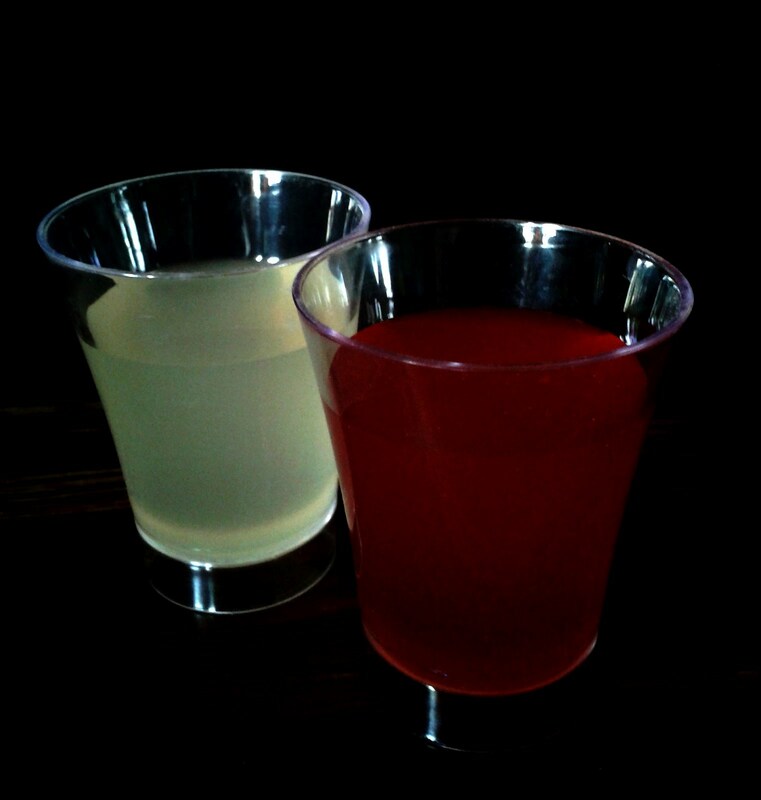 What you see below is two parts of Tzinga with one part of Tropicana Pomegranate and a part of Tropicana Guava. Tastes great. A little acidic but very refreshing. Has ginseng which is supposed to reduce stress and anxiety symptoms. Looks cool and the price point definitely works. It’s a pain to unscrew, and by pain I mean literal pain. The cap breaks off with sharp edges. Core ingredients: Water, sugar, lemon juice concentrate (told ya! ), taurine, caffeine, ginseng and guarana extract. Apart from this, it has the usual acidity regulators and stuff. Seems safe. Thoughts on repurchase: On a warm summer day out, I’ll purchase Tzinga over carbonated beverages. Ok, I might just want to try this the next time I visit your place. How about I mix a little something in it and give you?